I really wanted to participate in our 4th of July celebration by creating a float for Synergy Baby Doula, my professional birth doula business. I have the idea for the float created in my mind. I had visions of the float parading down the street in my hometown while throwing out organic “Yummy” lollipops to watching spectators. The parade and the 4th of July is a big deal in our rural community. Our town has even been celebrating with fun activities all week long. The motto and caption for Synergy Baby Doula is “Happy, true, birth.” While I know what this means to me personally, I didn’t know quite how to explain it or have it tied into this website or printed literature until the day I went to the Tooele City office to pick up an application for the parade entry. The parade includes a contest with cash prizes being awarded for the most creative floats. My competitive and creative side immediately sparked as I would love the recognition winning would bring Synergy Baby Doula. The only catch was, the theme “Hope of America,” must be included somewhere on the float. My desires are for expectant women to be happy and if not, they find and seek out happiness. That they are mentally and physically healthy. They must become educated in their rights as childbearing women and know that they have choices. But these options come along with healthy pregnancies as nutrition is the foundation for a healthy mother and baby. They must question their care providers if something seems amiss or doesn’t sit right with them. They trust their intuition and act upon it. True means what feels right for them and their babies. Making decisions and choices from the heart with no second guessing or what if “I had done this” differently. Being educated in the childbirth process is empowering. Knowing that as childbearing women we did the very best that we could brings accomplishment with no regrets or sorrow. This results in empowerment and it creates strong families that bond, no matter who that family consists of. Tomorrow, Friday, July 4th as we celebrate our country’s birthday and our independence, I have been reflecting on our need to continue to be aware of our rights as childbearing women. A paradigm shift is greatly needed in the USA with our prenatal care and birth choices. A way too change and bring awareness to the beginning of this much needed shift is by speaking up for ourselves while receiving prenatal care and during our labor, birth and postpartum environments. The shift is happening and we must continue making choices and giving birth from our true, authentic, higher self as we access our unlimited power. Let us be independent and know what is best for ourselves and families. May we know what we want and use our voices to get it! 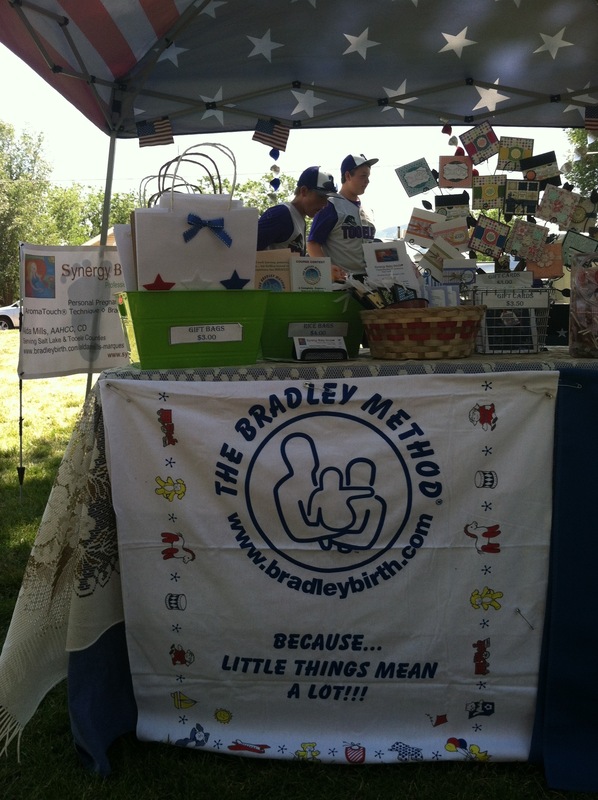 I must say…I had to make the choice of being in the 4th of July parade or setting up and manning a booth representing Synergy Baby Doula at Tooele City Park. Needless to say, I couldn’t be in two places at one time. I decided on preparing the booth, therefore my award winning, Martha Stewart would approve, float is on hold, but I’m excited to participate in the park festivities! Thank goodness for choices! Have a happy and safe 4th of July! Much love and Respect, Happy.True.Birth!